Late Night, Stitches | Knit Like You Mean It. 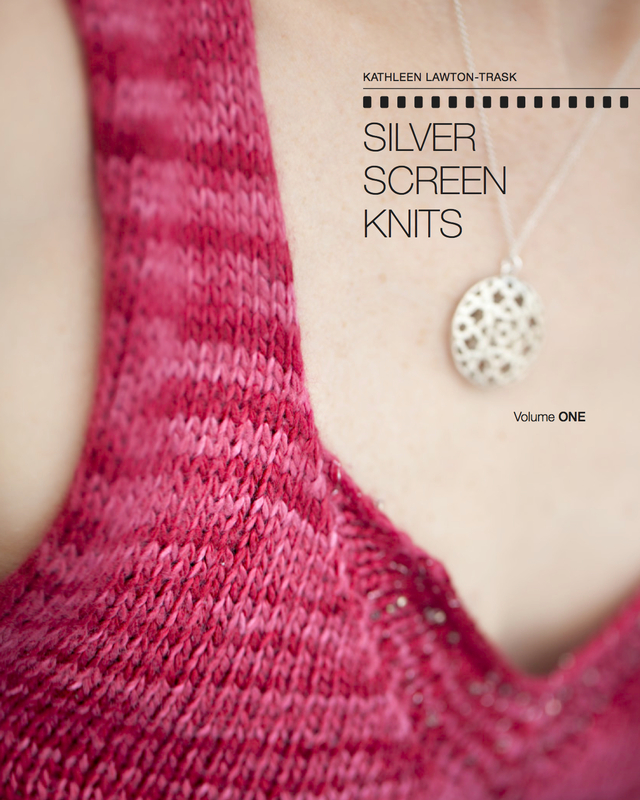 Last night, Laura, Michele, and I partook of some Knit Happens late night fun. 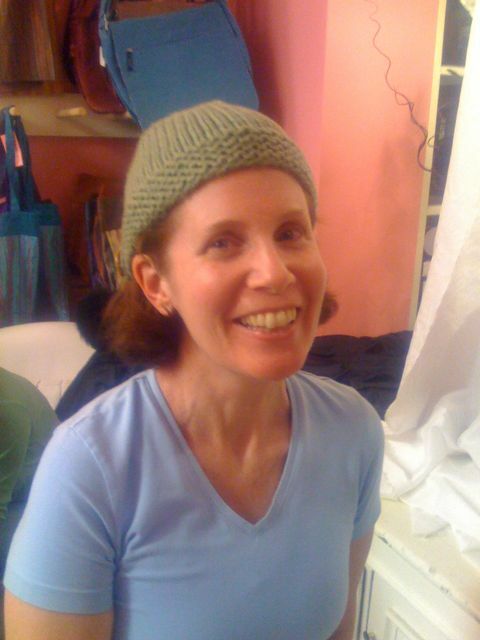 Photos of Michele in the Cashmere Beanie below! I’ll be teaching this as a class in the winter term/semester/whatever we call them. Today I’m at Stitches East…big excitement. We seem to be sharing the space with the Society of Women Engineers. Knitting is a KIND of engineering, right?!? 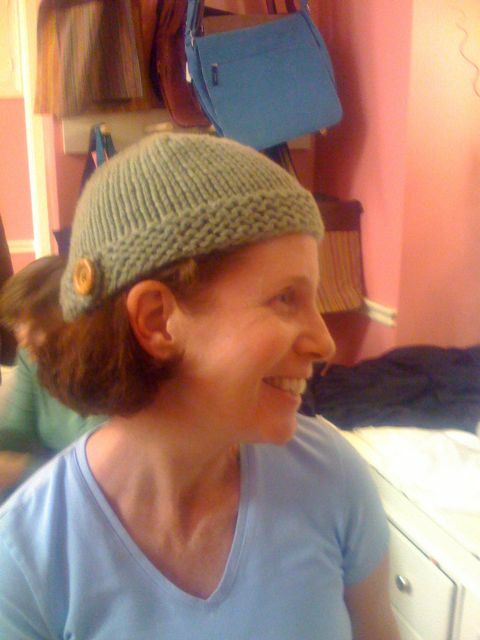 Michele was quite partial to the button on the beanie.